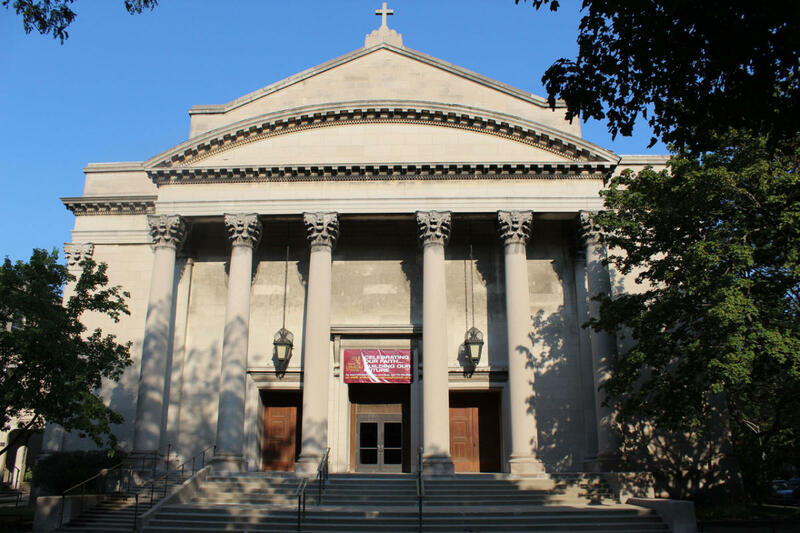 St. Ignatius Parish is a vibrant multicultural parish located in the heart of the Rogers Park neighborhood in Chicago. The church was built in 1917 and designed by Henry J Schlacks, considered by many to be the finest of Chicago's church architects. Schlacks trained at MIT and in the offices of Adler & Sullivan before starting his own practice. He founded the Architecture Department at the University of Notre Dame and designed several buildings in the Chicago area. Made from Bedford limestone, the giant columns of the Roman Renaissance portico are each carved from a single block of stone.